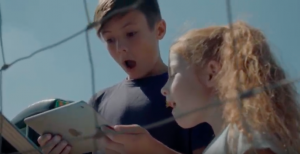 We know that a tablet or phone is a great way to get kids to sit still for 5 minutes but it’s also a great way to get them on the move, searching for clues and characters in an Augmented Reality treasure hunt or adventure. REVEAL was marketed as an ‘active reality adventure’ in Kings Lynn, featuring a trail of Augmented Reality markers. Although somewhat limited in its AR functionality, the REVEAL project is still a great example of how artists and attractions can work together, using emerging technologies to encourage audience interaction. Great innovation from the team at Collusion and great vision from the team in Kings Lynn by recognising engaging technology as a route ahead and going for it. Taking that interaction one step further was one of our recent Augmented Reality partnerships. Milton Maize Maze included a number of our ‘Mystical’ Augmented Reality Characters in their annual maze to bring their 2018 theme to life. The advantage they had over the Kings Lynn project was that by using the Powered by Mardles app their participants didn’t need a data plan or WiFi to bring the characters to life. You can see more about the project here. We’re currently working with the team at Fife Council to develop an AR tourist trail funded by Fife Cultural Trust. Keep an eye out for our updates on LinkedIn. So if you’re looking for an activity to engage your customers, get them exploring more of your real estate or visiting specific areas using an augmented reality treasure hunt, why not talk to us? AliveLab, creators of the Mardles Augmented Reality range have won a prestigious export award from the Department of International Trade. 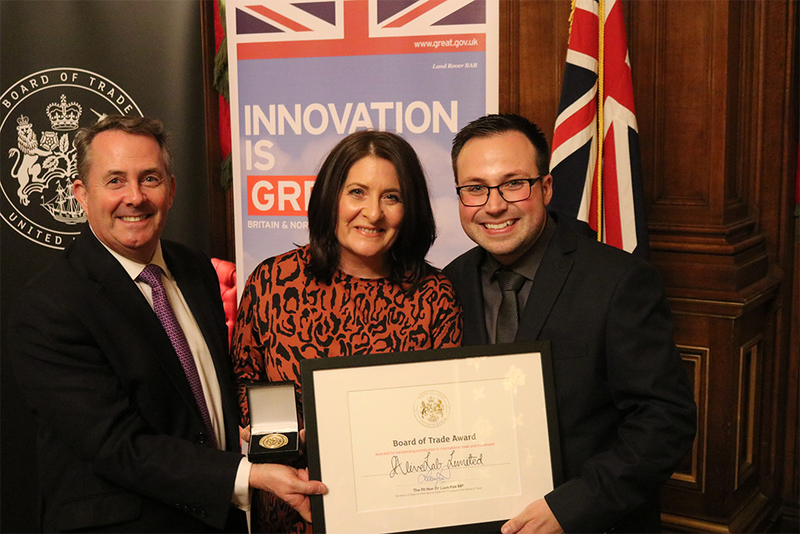 The company founders were invited to the Foreign Office on Monday where they were presented with their Board of Trade Award for Outstanding Contribution to International Trade and Investment by Dr Liam Fox MP. AliveLab was founded by Sharon Wyness and James Murden, friends who met whilst guest-presenting on TV Shopping Channel QVC. The duo launched Mardles in 2015 and have since sold over 750,000 Augmented Reality products worldwide, they are now partnering with others to add value to their range. Graham Nicholas, International Trade Advisor for the DIT said “It has been a pleasure working with Sharon & James who are incredibly pro-active, enthusiastic and forward thinking in their international sales development. “Each year, my international economic department helps thousands of companies of every size to break into global markets, ensuring consumers around the world can access the best of British products and services. In March 2018, the Secretary of State for International Trade and President of the Board of Trade launched the Board of Trade Awards to recognise excellence in trade and investment. The Department for International Trade works with thousands of businesses, and our company has been identified as one that has demonstrated exceptional innovation, delivered prosperity for the UK, and championed free trade. This Award has been granted to us by the Department for International Trade and the UK Board of Trade as a mark of recognition for our contributions to trade and investment in the year 2018. Photo shows AliveLab founders Sharon Wyness and James Murden collecting their award from Dr Liam Fox MP. We’ll be visiting London Toy Fair and have meeting slots available on the 22nd of January 2019 – drop us a line if you’d like to catch up. We’re visiting Spring Fair in Birmingham from the 3rd – 7th of February – drop us a line if you’d like to meet one of the team to discuss your AR project. 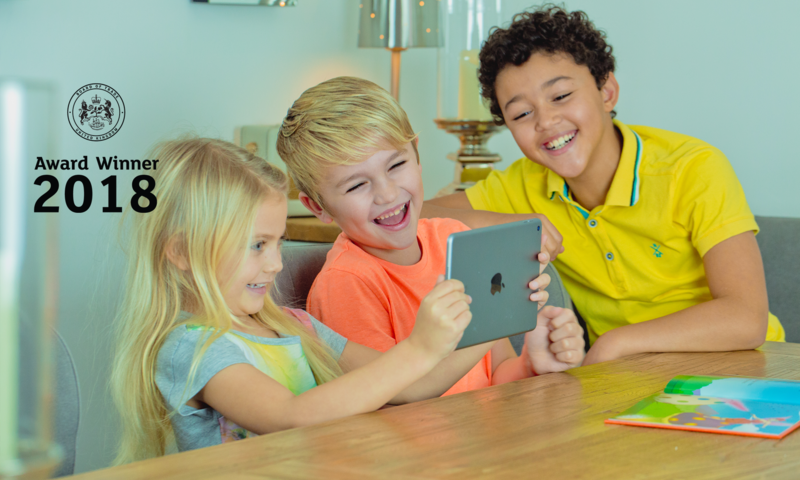 We’ll also be at New York Toy Fair on the 16th – 19th of February – we have meeting slots available for any companies who would like to explore AR for kids. When Pokémon Go – the Augmented reality ‘catch ‘em all’ game launched, our local pub was already pretty family friendly however, by sheer luck they were also slap bang next to a Pokestop (where players could find rewards). Over the summer we found it increasingly difficult to find a seat outside, as their garden filled up with families enjoying not only their AR game but also good old fashioned outdoor fun and great food. Of course we can’t say it was all because of the AR (Their macaroni cheese is spectacular) but we could see parents and children enjoying time together and spending money on food and drinks in the meantime! Our recent partnership with Beefeater is a great example of mixing old and emerging technology to enhance the customer experience whilst keeping the kids occupied between the moment you’ve persuaded them try something with veg and the fallout because there are two too many peas!